Know what’s in store for SEO this year that might affect your website. Your company’s website is expected to have high visibility for potential customers. This is why having a well-thought out SEO marketing strategy is essential to ensure that your company’s marketing effort is successful. SEO reels in traffic from the worldwide web, and the more traffic you get, the better chances of moving the needle on the bottom line. Google is all about providing the best experience for everyone, especially mobile users. That said, Google has been rolling out updates that places mobile search in the limelight as a primary search index. So, focus on having a mobile-first strategy, starting with how you design your website. User experience should be a priority when designing both a web-based and mobile website. In line with Google’s mobile-first objective, Google is now considering Accelerated Mobile Pages (AMPs) as a key ranking signal in mobile searches. If your page loads fast in mobile pages, users are more likely to be led to your site over those that load slowly. The importance of social media has never been more pronounced this year as the platforms release more features to encourage user engagement. Make sure to include social media sharing buttons to your website if you want your site’s content to be seen by a larger audience. The more you engage, the more traffic your site gets. Though we have conditioned ourselves to make everything as efficient as possible for short attention spans, long-form content (usually around 1,000 to 2,000 words) has proven to rank highly with search engines. Instead of breaking up all of your articles into short, bite-size pieces, having a two or three long-form articles is recommended. Gone are the days of buzzword-filled web content. People are now opting for a more conversational tone when searching for content on the web, just like having a natural dialogue. Mobile users want something fast and easy to understand, and with the increase in number of mobile and voice searches, natural language should be taken into consideration in your content development strategy. Humans are highly visual, and the same thing applies to content on the web. With the increase of mobile searches, people opt for infographics over standard blog posts. Image optimization is a must nowadays if you want to be seen and noticed in search engine results. 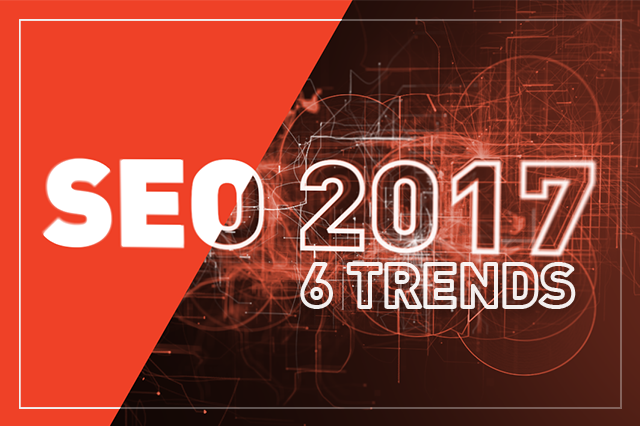 As the year 2017 unfolds, it’s wise to keep an eye on other SEO trends that might crop up mid-year. Being in the know is key to any SEO strategy. If you’d like to discuss more about SEO and other things we could do to potentially help your business, please give us a call at 888-420-5115 or email us at creative@ilfusion.com.